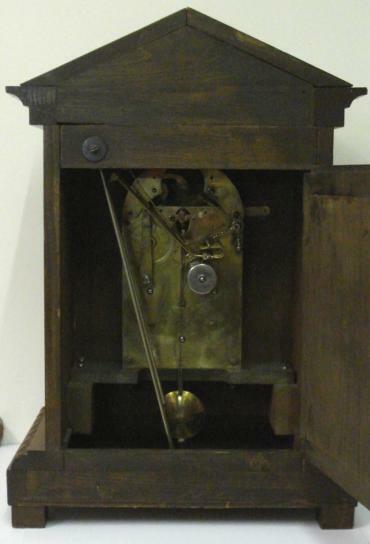 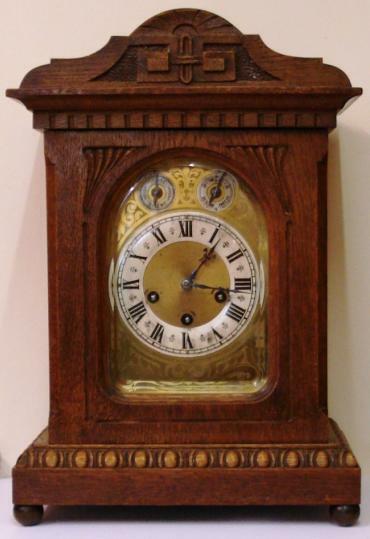 Stock Number: CLBR011 - Oak Cased 8 Day Westminster Chime - £750. 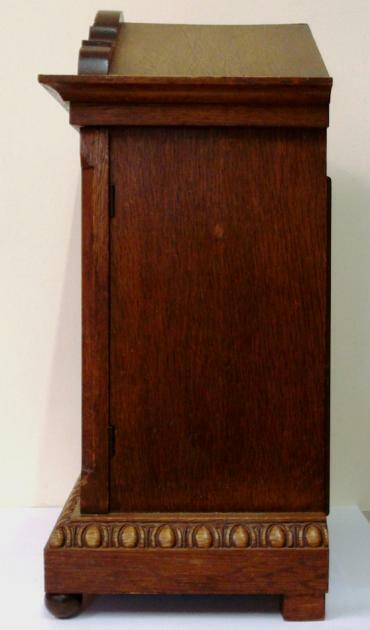 German oak cased 8 day Westminster chime bracket clock by Junghans circa 1900. 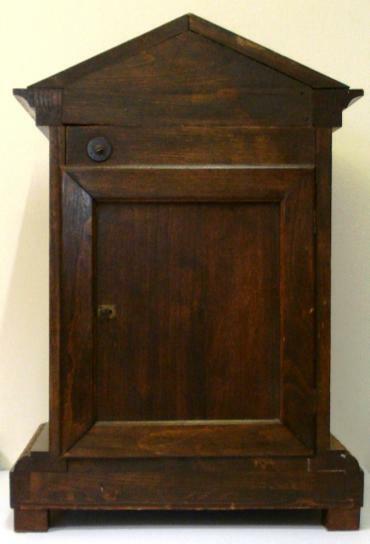 Architectural case with carved decorated top and plinth, with wooden ball feet. 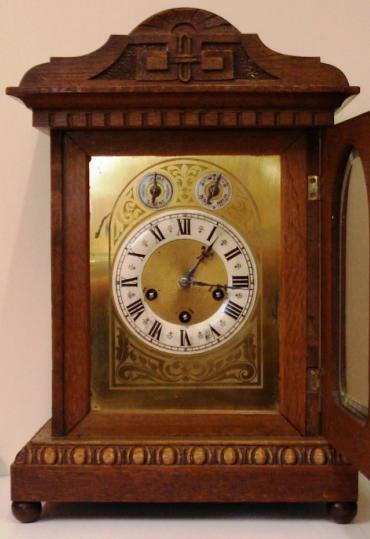 Carved wooden door with heavily chamfered glass over acid etched brass dial plate with Chime / Silent and Slow / Fast controls at the top. 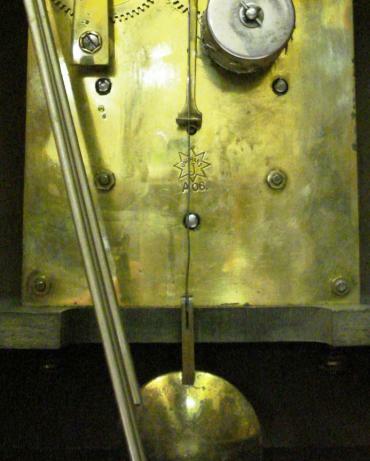 White silvered chapter ring with black roman hours and ornate blued steel hands. 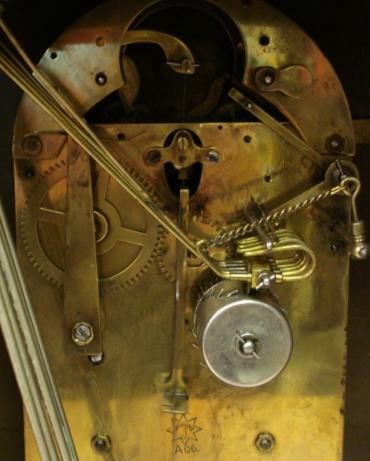 Square brass spring driven, pendulum regulated movement, stamped with the Junghans touch mark. 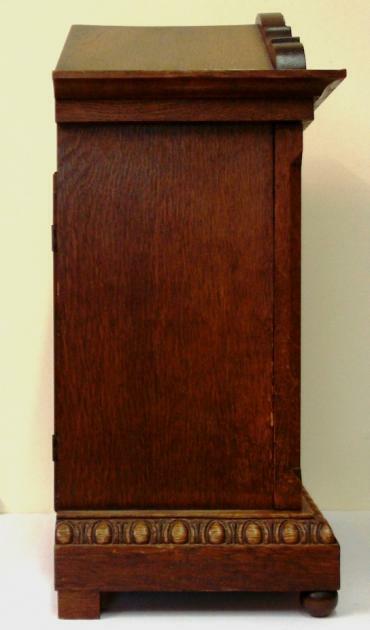 Dimensions: Height - 16", width - 12", depth - 8".